To coordinate and manage operations of features desk to ensure continuous generation of strong content that conforms to journalistic ethics, editorial objectives and house style within set deadlines. » Is responsible for the editorial content of the features pages in line with the paper » Generates features articles for Mwanaspoti papers. » Coordinates editing and production of features pages. » Checks and corrects editorial for facts, accuracy, taste, house-style, language use, clarity, details, objectivity, spellings etc. » Assigns features articles to writers. » Re-writes the copy as necessary for simplicity, clarity, style etc. » Writes or rewrites the appropriate headline for the copy, ensuring it reflects the overriding message of the story. » Checks all headlines, captions, pictures, copy text and page logos and all other page elements to sign the pages within set deadlines. To drive company staff on official duties. To drive night production workers from MCL premises to designated places. Ensure vehicle assigned is inspected by filling necessary documents and reporting any defects. 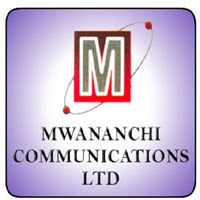 To drive newspaper distribution vehicles from Mwananchi Communications Ltd to designated customers. Ensure the newspaper parcels distributed are verified in quantity and type. Be responsible for loading and offloading newspaper parcels being distributed on first in last out order for efficient drops en route. Ensures the safety driving rules and regulations are followed when driving company vehicle. Ensure that all legal documents and stickers are current and valid. Academic : ‘O’ Level Certificate. Professional : Driving License, Class C.
Experience : 3-5 years working experience. » Overall in-charge of the circulation, sales and administration for the Region. » Organizing and driving the circulation operations for maximum achievement of set targets. » Maximizing opportunities for copy sales. » Delivering new opportunities through Vendors, Agents, Distributors and Corporates. » To supervise the distribution processes within the region and advice on strategies that will enable growth of copy sales within the market. » To effectively manage the newspaper return levels through forecasts that advice print order decisions. » To manage the allocations of the area and ensure optimal distribution of all our brands within the region. » To build relationships with all stakeholders in the distribution channel to ensure smooth distribution processes. » Monitors market arrivals, circulation sales and returns indicators and makes appropriate reports to Circulation and Distribution Manager. » Monitoring daily market performance for the entire region and be in a position to give an overview of competitors performance against our position in the market. » Liaises with production, transport and security services to eliminate problems of short packing, non-deliveries and wrong deliveries. » To continuously supervise the generation of reports to ensure accuracy of the same. » To supervise the Sales Representatives in the region and guide growth of the market. » Monitors and guides Sales Representatives and recommends areas for personal growth. Bachelor’s Degree in Business Administration/Marketing. A master’s degree in Business Management will be an added advantage. Must be self-motivated and energetic/energizes others to execute plans, expects the best, and is open minded. Holds highest degree of integrity, honesty with a hunger for success. Interested and suitably qualified individuals should forward their applications enclosing a detailed CV and copies of professional certificates, and a day time telephone contact direct to the Human resources manager by December 1,2018.